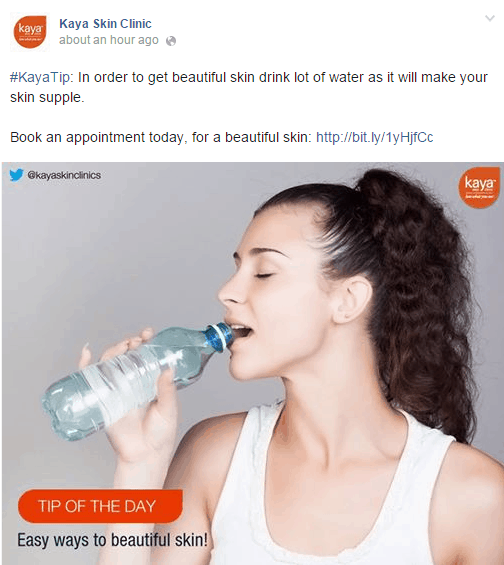 Kaya Skin Clinic is one of the brands established by the Marico, which is an Indian consumer goods company providing consumer products and services in the areas of Health and Beauty based in Mumbai. As the name signifies Kaya Skin Clinic provides skin solutions to people across the world. The company wanted to increase awareness about its physical stores among masses and also increase the number of walk-ins at the clinics. They added Facebook to their marketing mix, which very soon became the best performing traffic source for the company. Moreover, they saved a lot on their budget with the affordable cost per click and phenomenal cost per acquisition of the Facebook marketing. • Drive awareness about physical stores among masses. • Increase the number of walk-ins at clinics. 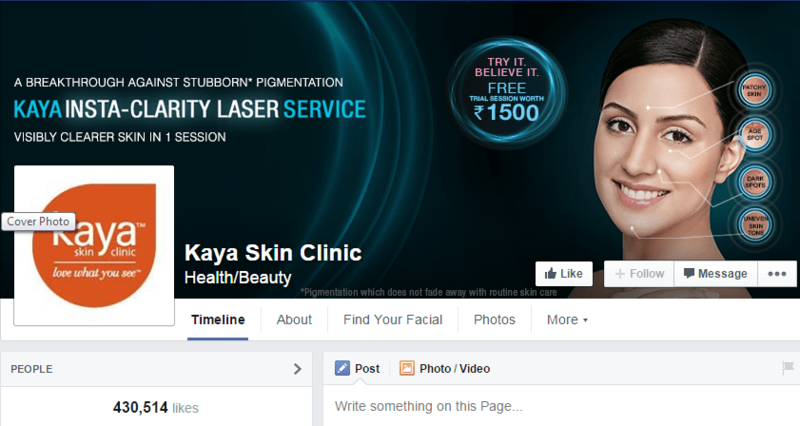 • A Facebook Page was built by Kaya Skin Clinic. • Customers and prospects were given complete details on the clinics, including location and available packages on the company’s Facebook Page. • Facebook Ads were run by the company to reach potential customers and prospects. • Specific age and gender targeting was done to narrow down the list of prospects. • Videos were posted on the Facebook page and ads based on these post called Page post ads were created. • Fans were engaged through a mix of updates, videos, pictures, questions and polls. • Important posts were pinned and highlighted. • Fan’s questions about their services were responded. • The fact that people trust their friend’s recommendations more was capitalized by using friends of their connections and targeting, apart from the other targeting parameters employed to reach friends of current Page fans.